Blackwater is an Indica dominant strain (90/10) that is a cross of the fruity NorCal Mendocino Purp and the San Fernando Valley OG strains. The sticky, densely packed, chunky indica buds of the Blackwater cannabis strain won 3rd place in the Best Indica category at the 2014 High Times Medical Cannabis Cup. It’s round, dense, large buds are covered in a thick trichrome coating with a hint of purple coloring and a smell of sweet berries that enhances the bag appeal. Sweet aromas of berry and grape greet marijuana enthusiasts when they break open a nug of this strain. 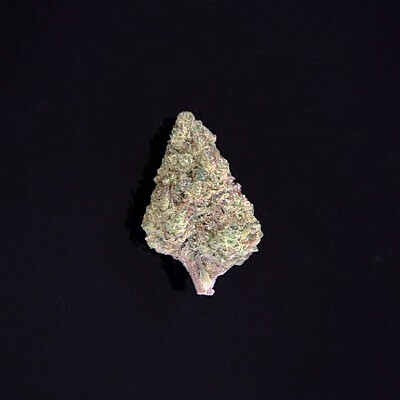 Marijuana connoisseurs will notice the hints of berry, grape, and lemon in the smoke, with some pine like tastes as well. What begins as a mellow and euphoric cerebral experience melts down to the rest of the body in a head-to-toe euphoric calm that relieves stress and anxiety. The Blackwater strain is highly useful as medicine, with applications for treating anxiety, low mood, migraines and other headaches, muscle spasms, nerve pain, and chronic bodily pain. This strain is overwhelmingly indica, which explains the intensely physical effects. This strain also has a reputation for inducing the munchies, making it a great choice for those who struggle to maintain appetite and is recommended for late-night consumption as it can cause mental cloudiness and detract from productivity.